Can you guess what the second biggest search engine in the world is? It's not a search engine at all. In fact, it's Youtube. Local video search engine optimization can lead you to rank at the top of search results in your area. And what company doesn't want that? Getting to that top spot is completely achievable with the right tactics. If you want to find out what those tactics are, keep reading. This guide will tell you everything you need to know about optimizing local video SEO. Video SEO means the process of how to optimize video for web searches. The aim here is to get your video to be indexed and ranked in search results. Video SEO optimization helps you rank higher for keyword searches related to your niche or business area. It's just like ranking in traditional search engine results, except that it focuses on videos and not words. The thing that makes local SEO so important is that it makes it easier for users to find your videos in your specific area. A good way to get your videos to be associated with a particular location is geotagging. If you shot a video in your offices, for example, you can tag the office's coordinates. If you use YouTube to share your videos you can geotag any video that you upload. In the Advanced Settings tab, click on Video Location. YouTube makes it easy by displaying a map where you can pinpoint the exact location you want. Experts emphasize that a high-quality video is an absolute must. This is the only way to capture your audience's notoriously short attention span. User retention, or how many users watch your video the whole way through, will affect your video's ranking. Unlike other platforms, YouTube doesn't just prioritize SEO. It is a democratic platform. Videos that users like rank highly, and mediocre content doesn't work in an environment like that. If you want to know how to optimize YouTube videos you're going to need to understand keywords. These are the nuts and bolts of search engine optimization. Start off by researching keywords on YouTube that relate to your video's topic. A good way to do this is by researching what videos from your competitors are already highly ranked on YouTube. It's good to do this research before you even create the video so you don't create content that viewers aren't interested in. After you've done your keyword research, you can craft an engaging title and description for your video. This is important as YouTube ranks videos according to the title and descriptions. The title is a good way to showcase your creativity. Think about your target customer and things they are likely to be searching about. Videos that start with "how to" or "Tips on" as well as tutorials all do exceptionally well. 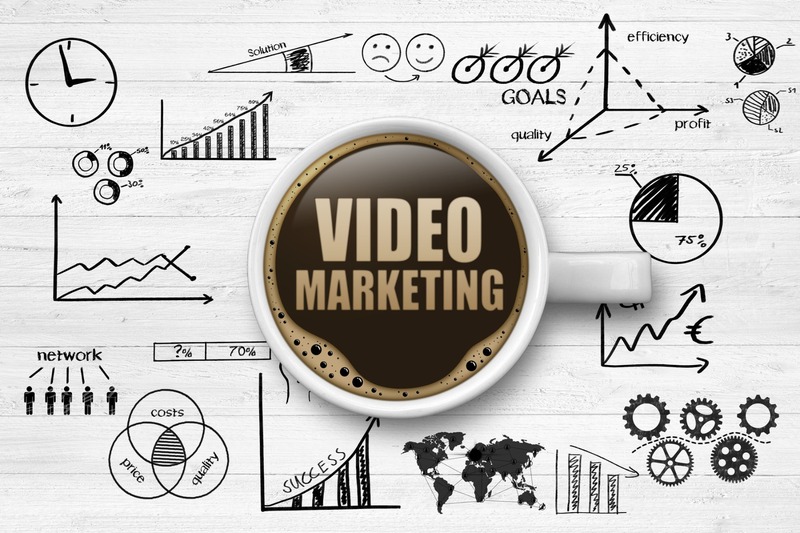 This type of video is attractive because it provides value to your customer and not just about selling your product or service. The description is the next step, and to write a good one it's always recommended to use the information contained in your video. There's plenty of space so feel free to add your location too, as well as your keywords. Bonus tip: add your website to the description box. Once the URL is complete, YouTube makes it clickable. Even if a viewer doesn't watch the video, they may click right through to your site to find out more. Use everything you can to optimize your videos. This includes YouTube's "tags". They are not visible to users but are used behind the scenes to categorize your videos. They can include both keywords and geographical terms like your city. The quality of your thumbnail can also make or break your video's chances. Users see this tiny preview picture in search results, and you can customize it to your liking. Make it engaging so people are motivated to click and view your content. In addition to optimizing the video on YouTube, you should also pay attention to how it appears on your site. You should embed the video that is most important first on your webpage. This is especially important if you have multiple videos appearing on one page. This is because Google usually only indexes one video per page. After the search engine has crawled and indexed that video, that is what search results will show. So pick your best-performing content, and show it off. If you can, structure pages so that a video that you want to have highlighted has a page all for itself. Make the video the focus of the page and don't make users have to scroll too far to see it. A great video means nothing if people can't find it. It's time now to share your video far and wide. Social media is a tool you'll want to utilize. Channels including Twitter, Facebook, LinkedIn and even Google Plus all work. By promoting your videos on social media you will be driving traffic to both your videos and your website. Now you've got all the tools you need to optimize your local video SEO. Want to really leave customers with an impression? One way is to have an end screen that includes a call to action like sharing, commenting, or subscribing. Another way to engage them is with an animated logo. It helps hold their attention and makes them remember your logo longer. Read more to see how an animated logo can help improve your brand.